Just a few weeks ago, Apple released an iPhone 6s ad that quickly went viral. Starring the Cookie Monster muppet from Sesame Street, the ad focused on the hands-free "Hey Siri" feature in the iPhone 6s and iPhone 6s Plus. 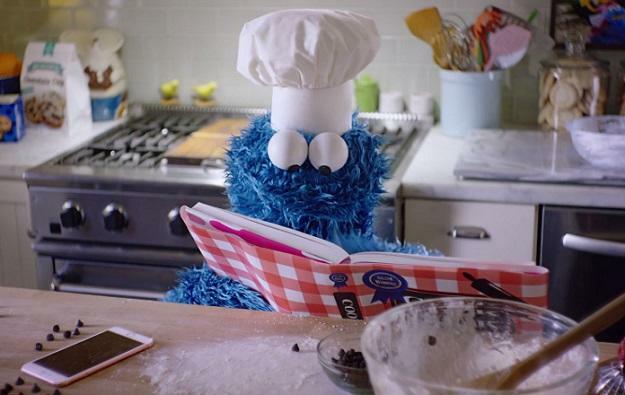 Titled Timer, the commercial is about baking cookies – practically a given since the Cookie Monster is in it – and Apple has now released a hilarious making-of video that contains plenty of bloopers. The Behind The Scenes video is even funnier than the original commercial, focusing more on Cookie Monster rather than Siri. But yes, it’s clear that this is also an iPhone 6s ad disguised as a behind-the-scenes featurette. The original commercial has more than 9 million views on YouTube, which is significantly more than any other recent Apple ad. So it’s definitely not a surprise to see the character return in a new iPhone 6s feature. Check out the new clip and the original Timer commercial below. Why did Apple launch the iPhone SE with embarrassingly low supply?